The Sentencing Project’s staff and board of directors represent a diverse group of individuals with expertise in fields including research, policy, advocacy, and law, with a shared passion for criminal justice reform. 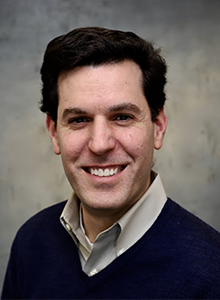 Joshua Rovner manages a portfolio of juvenile justice issues for The Sentencing Project, including juveniles sentenced to life without parole, the transfer of juveniles into the adult criminal justice system, and racial and ethnic disparities in juvenile justice. His work has supported reforms in numerous states through research and testimony. He is the author of several papers and fact sheets for The Sentencing Project, including How Tough on Crime Became Tough on Kids: Prosecuting Teenage Drug Charges in Adult Courts and Racial Disparities in Youth Commitments and Arrests. An expert in child and adolescent well-being, Rovner has worked on juvenile development issues, such as access to primary and mental health care, tobacco prevention, and comprehensive health education. Rovner previously worked at the School-Based Health Alliance, Metro TeenAIDS, the Campaign for Tobacco-Free Kids, and the Council of the District of Columbia. He received his undergraduate degree from the University of Rochester and a Master of Public Policy from the George Washington University. While youth incarceration has declined sharply over the last decade, racial disparities have actually increased. This report reviews the nationwide and state-by-state status of racial and ethnic disparities in commitments and the likely impact of growing racial disparities in arrests. A major reduction in the number of youth committed to juvenile facilities has taken place this century, yet racial disparities in youth commitment remain large and prevalent. Following her election as Washington, D.C.’s new mayor, Muriel Bowser has sought public input on important issues facing the District. The Sentencing Project submitted four recommendations for juvenile justice reform: make aggregate juvenile arrest data available and transparent; limit the use of arrest for low-level offenses; prioritize evidence-based programs, and not incarceration, for delinquent youth; and keep youth out of the adult system. On June 25, 2012, the Supreme Court struck down laws in 28 states that mandated life without parole (LWOP) for some youth. This policy brief is an update on how legislatures and courts in those 28 states and elsewhere have responded. This briefing paper explains how disproportionate minority contact (DMC) with the juvenile justice system is measured and takes a close look at drug offenses, property crimes, and status offenses.